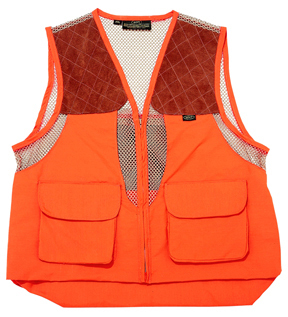 Light and breathable, this vest is designed for upland hunting in warm climates with its mesh back. Vest features large bellows pockets with shell loops and blood-proof game bag with front and rear entry. Brown suede gun patches on both shoulders. Orange.